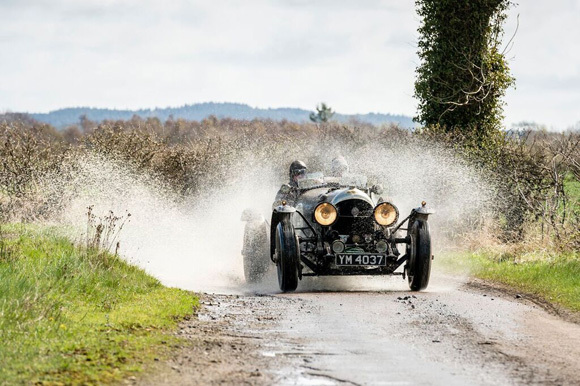 The Talbot 105 Alpine of Gareth Burnett and Martyn Taylor put an end to Bentley’s winning streak as it crossed the finish line in what was the toughest Flying Scotsman rally in the event’s eight-year history. 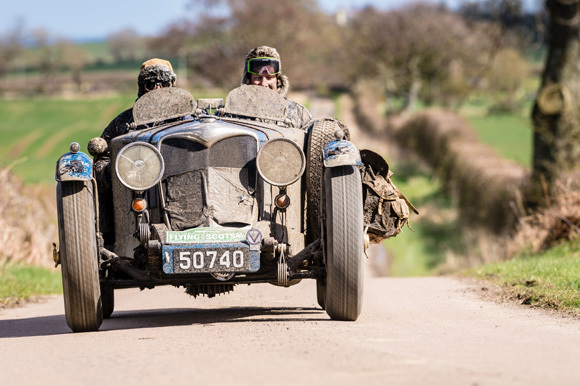 The winning crew (above and top) finished with an overall total of 0:28:06 with second place going to John Abel and Leigh Powley in the 1937 Lagonda LG45 on 0:28:45, and the 1938 Bentley Derby 4 of Stuart Anderson and Andy Pullen on 0:29:38, finishing in third. 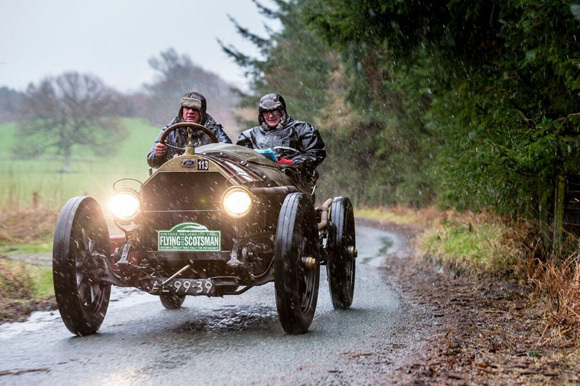 There was also a win for the oldest Pioneer car in the rally, the 1911 Knox Type R (above), bravely crewed by Michel Laarman and Maryon Grief who tackled every speed test, regularity, and challenging mountain climb alongside cars 30 years junior. 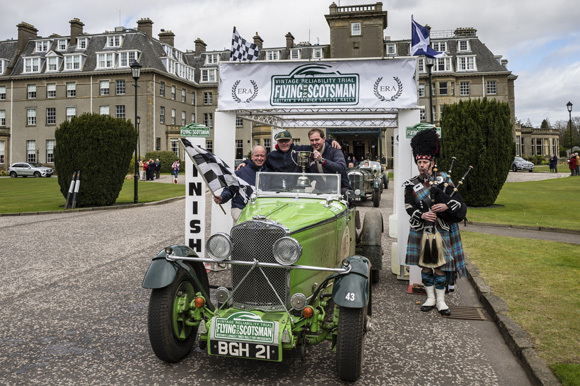 There were two special awards presented at the prize giving dinner at the luxurious Gleneagles Hotel and the Concours D’elegance went to Shane Houlihan and Richard Pain in the 1932 Alfa Romeo 8C (above). 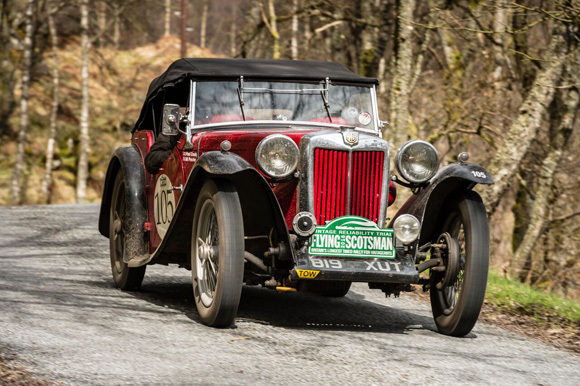 The Spirit of the Rally award went to Matthew Abrey and Jasper Hulscher in the 1931 Ford Model A (above), who found themselves taking the engine out of the car on Saturday night after the clutch failed. 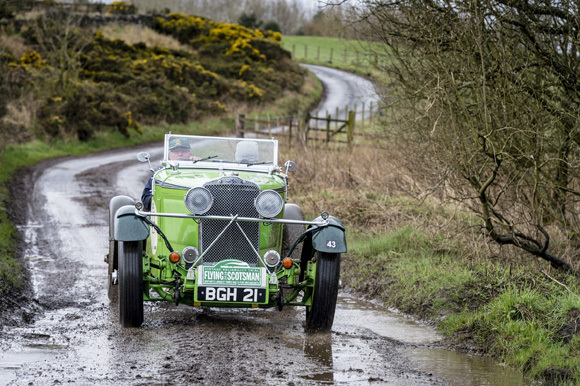 A new clutch was driven from Norfolk to Scotland arriving in the early hours. 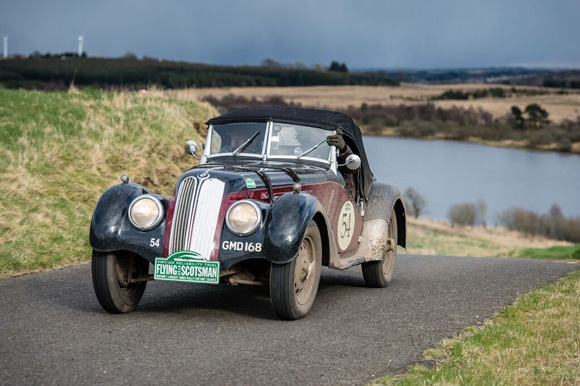 It was ‘all hands on deck’ to get the clutch fitted and car reassembled but the crew managed it, even checking out of the first time control on time. 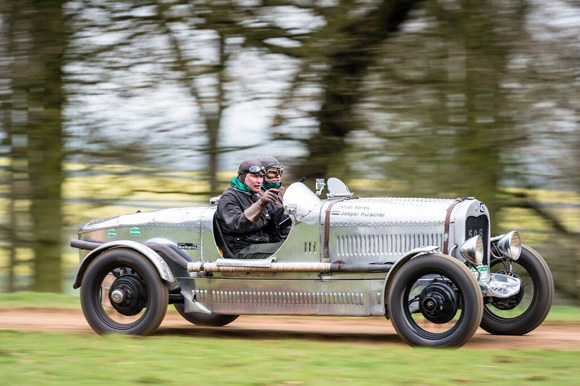 Class wins went to stunning mix of marques, with Paul Crosby and Ali Proctor in the 1939 MG TB Supercharged (above) winning Class 2 for cars up to 1500cc, and Martin Hunt and Robert Mannix in the 1937 Frazer Nash BMW 328 (below) winning Class 3 for cars 1501 to 2000cc. 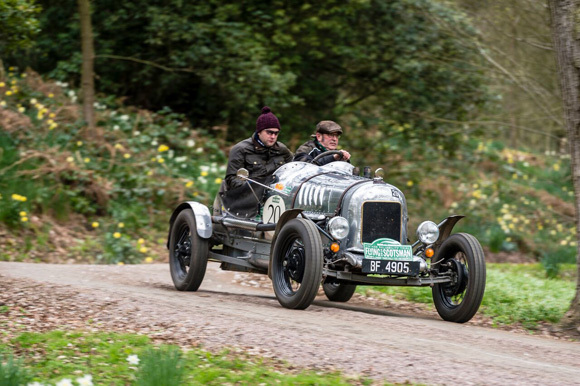 Last year’s runners up Bill Cleyndert and Dan Harrison in the 1928 Ford Model A (below) won Class 4 (Vintage cars 1920-1930 over 2000cc). 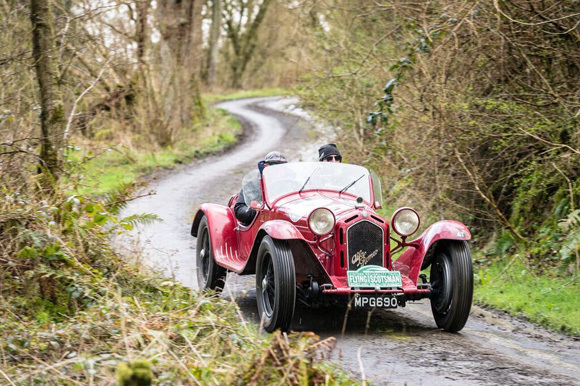 Shane Houlihan and Richard Pain in the 1932 Alfa Romeo 8C won Class 5 (Vintageant cars 1931-1948 2001 to 3000cc). 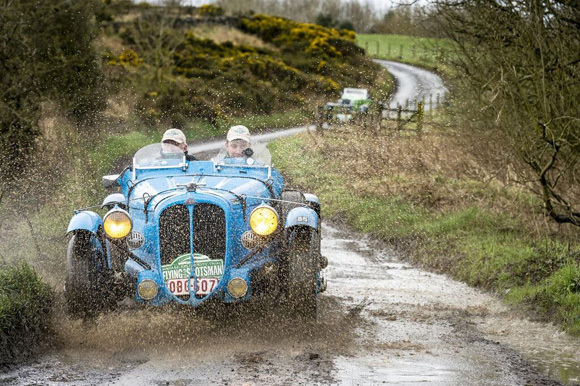 Class 6 (Vintageant cars 1931-1948 over 3000cc) was won by Dirk and Nick Van Praag in the 1936 Delahaye 135M.